My last post was to explain the process of hacking a bit, which Samy uses to just figure out a way to do things without having any manuals, just reading the tells of the devices. 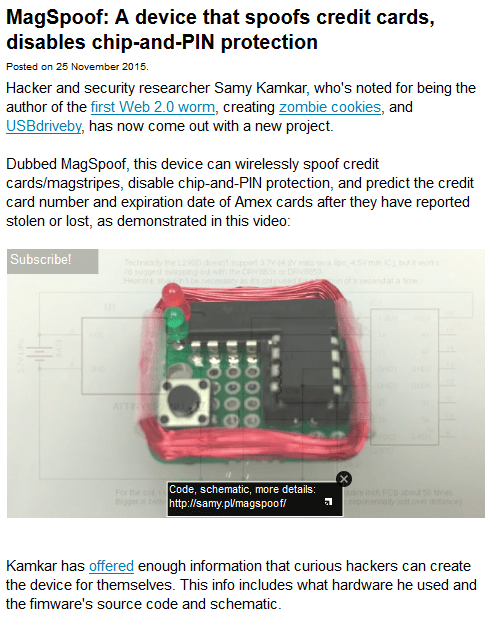 In the latest video he is actually explaining a method of figuring out the credit card storage technology and then create his device (the Magspoof) which can register on a live credit card device and defeat the Chip and pin technology. My point has been that the real criminal hackers are doing the same thing. 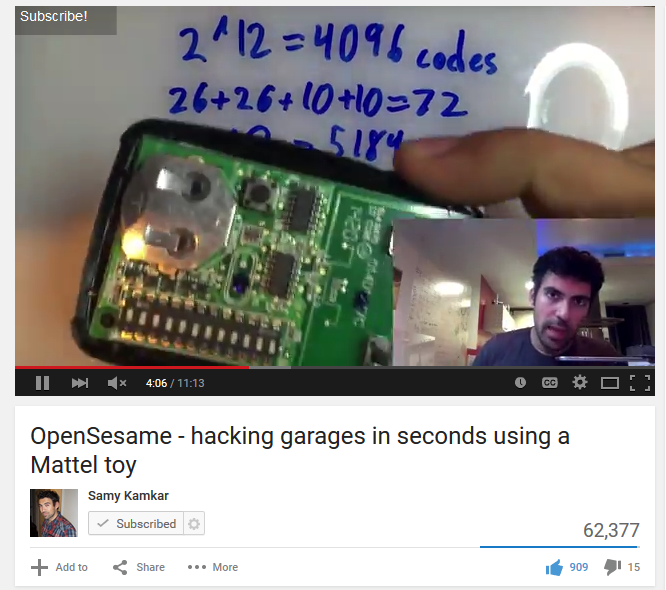 I don’t think we as a society have figured out the abilities of innate hackers such as Samy Kamkar. The answer is to have a continual Oversite of the potential attackers coming in and using your resources and finances for their ends. Contact us as we can help you develop a counter-strategy to the higher threat levels.